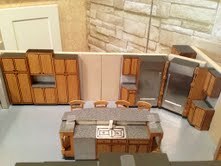 At Ken Bauer Kitchens, we offer our customer’s a unique design process using 1" scale 3D kitchen models as an alternative to the computer aided design approach. All of our estimates are free of charge and our design staff will give you a very good visual sense of how your kitchen will look. 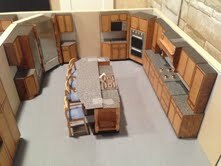 It is easy to show you a number of alternative layouts based on the size of your kitchen. The entire block system is based on speed and efficiency and we can usually give you an estimate the same day you come in. 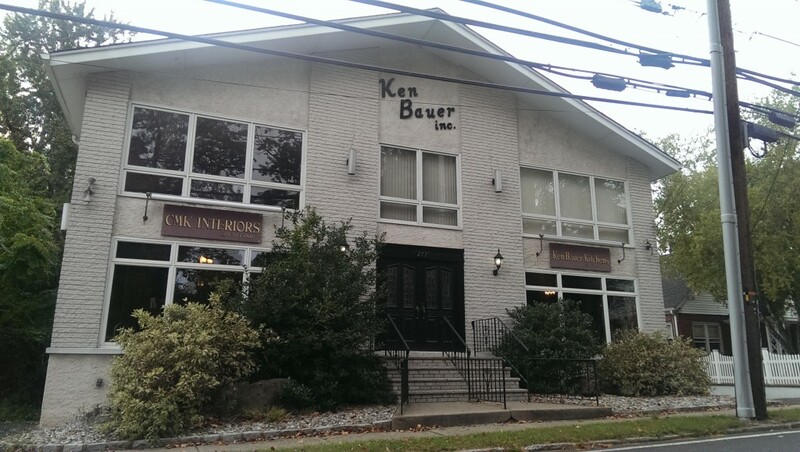 After making an appointment you’ll visit our showroom to work with a designer. We need simple room dimensions to get started and will ask you a few questions; the type of appliances to be used, seating requirements and any special needs will be discussed at that time. After you decide on the best design for your space, we will go over our cabinet lines to see what will fit your style and budget. 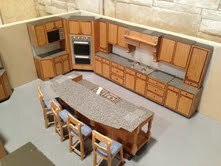 We will also go over the countertop and installation options. There is no charge or obligation for this service. Call us today to start the design process for the kitchen of your dreams!